One of the reasons stress is terrible is because of the compounded effect of anxiety and health issues. Millennials are pushed to work harder thanks to all the comparison they do on the internet to “successful people.” It’s tough. Yet, humans are tribal creatures, with genetic tendencies rooted to our distant past. The more we can align and understand our roots, the better we can reduce stress and anxiety. 1. Reduce stress by cutting out extended stress situations. In order to keep anxiety and stress pressure low, you should set up a system to lower extended stress situations. These include: a 5 minute time-out to walk around when your environment gets too tough or a blocked off time in your calendar to relax. These moments will give you a moment to return to a balanced and calm state to better assess your surroundings. In the book 15 Secrets Successful People Know About Time Management, the founder of LinkedIn says he has to block off moments of time for himself. Before doing so, he was overwhelmed and out of control because of his back to back endless meetings. Understand the consequences of staying in a prolonged stress environment. Your body is not wired to take this heat. It is still evolved to deal with short-term high-stress situations like running away from a dangerous predator. With extended stress, you damage your health, longevity, energy, and thinking. If you cope with a work environment that doesn’t allow you to relax occasionally, you’re dooming yourself. If you have to, change jobs to fit your demands. 2. Reduce stress through meditation. Meditation is one of the most powerful self-development tools. The science of meditation shows that it can reduce stress by physically changing the structure of your brain. Mindfulness meditation helps rest and digest your nervous system. After 11 hours of meditation, practitioners had structural changes that improved the areas responsible for focus and self-control. 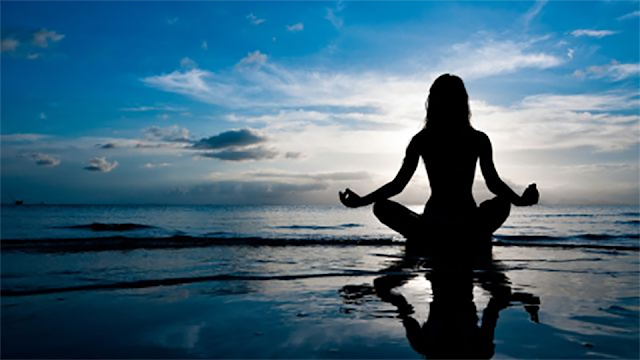 A study by Michael Speca PhD found that meditation decreased mood disturbance and stress symptoms. Meditation does not have to be this gigantic undertaking. If you look at it like this, it will overwhelm you and scare you away from even starting. Most people I know who are successful entrepreneurs and frequent meditators started out with a baby step goal: just two minutes a day. Over time, as you get more used to meditating, you can slowly increase the duration to form it into a deeper habit. 3. Reduce stress by changing your environment. Oftentimes, the tasks or situation you are stressed about aren’t that important. Ask yourself if this task really contributes to your big goal. You may find that a lot of the tasks that take up your time have a very little impact on your bottom line. If what stresses you out is of little importance, eliminate it. Examples include trivial email responses you have to make, minor maintenance requests, or needless meetings. Move these aside and focus on the most important task that will get you towards your end goal. According to the Pareto Principle, 80% of your results come from 20% of your tasks. Identify that task and double down. Most people try to fix the symptoms without ever working on the root cause. If you have a job you hate or a life that’s not great, change it. Using tactics to solve short-term issues will never fix the underlying prolonged problem. For example, many people turn to drugs like Advil or Tylenol to cure headaches. Instead, cure the cause of the headache itself: the part of the career you don’t enjoy doing. Assess if it’s really worth doing. Does it really lead to a high impact on your company’s end goals? If not, stop doing it. If so, hire someone to do those parts who can do it better than you. It won’t happen overnight. These transitions take time. If it was easy for everyone to live their dream job and dream life, everyone would. Take night classes, reach out to people with interesting jobs to learn more, develop your side business on the side. Intern and volunteer at new jobs. Keep working hard and you will succeed. Tactics can help you with stress reduction. But these should only be used when you have found a job that you love that happens to have stress that cannot be avoided, like being an entrepreneur. Otherwise, you want to solve the root issue of your stress rather than cover up the symptoms because it is what will truly fix the problem.